Biking to Victoria Falls at sunrise is a great start to your day. Develop a context for of one of the most-visited attractions in all of Africa as you follow your guide along the Zambezi River and past massive baobab trees, all before arriving at Victoria Falls Rainforest Park for a walking tour. 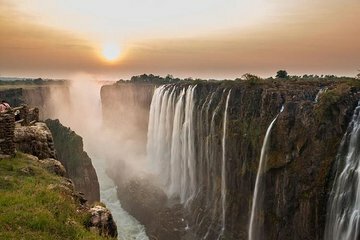 This tour also includes a brief tour of Chinotimba Township for a look at everyday life in the vicinity of Victoria Falls—an authentic experience you won’t find on most itineraries.